Now available online: The historical mineral exploration records (logs, cross sections, geologic maps, and geophysical survey data) collected by Ernest K. Lehmann & Associates. 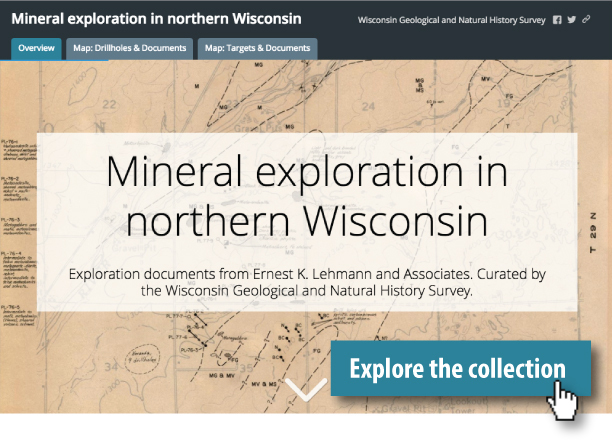 These records contain nearly all that is known about Wisconsin’s buried and undeveloped mineral deposits, a boon for anyone interested in understanding the Precambrian geology of the more remote parts of the state. We have scanned all unique documents related to cores in the Survey collection. PDFs of those documents can be downloaded from our web application. The parts of the collection that have not been scanned may be viewed by appointment (list of all donated documents). 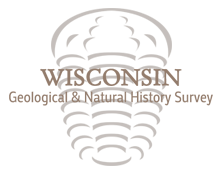 To arrange an appointment, please call 608-262-1705.